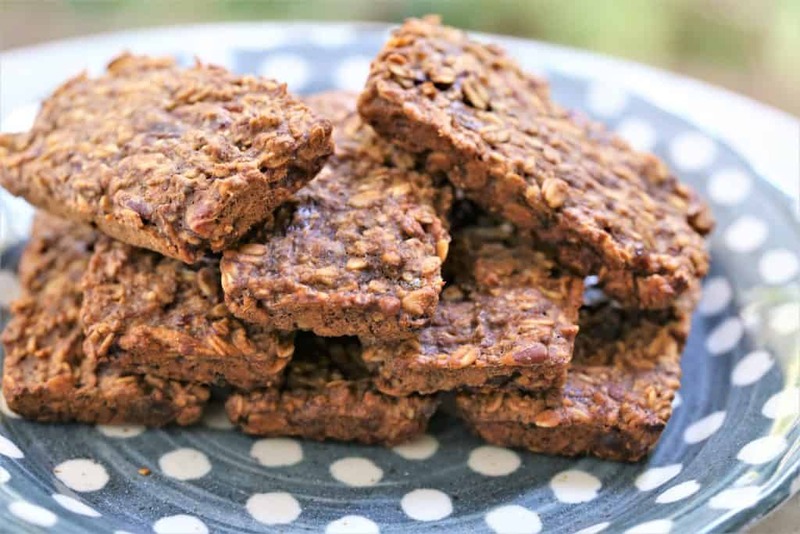 Whip up these tasty Fruit and Nut Energy Bars to go! Energy is a good thing, and everybody wants some. 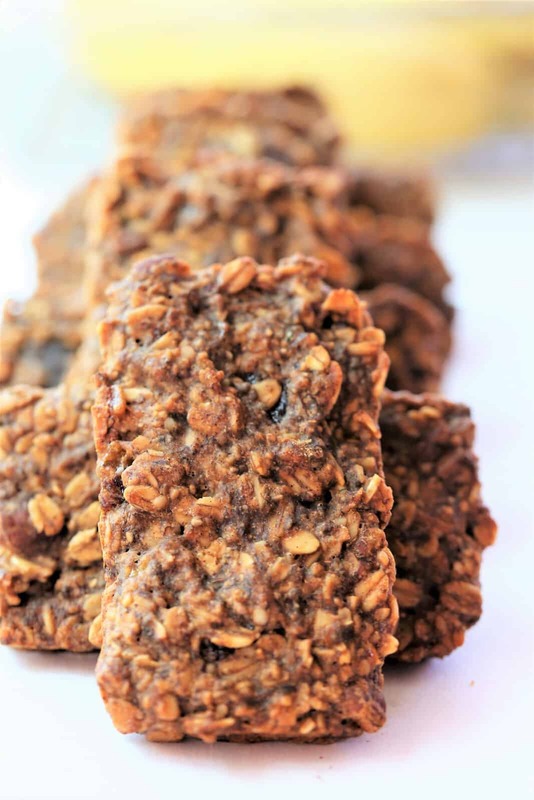 The only bad news is, after you try these tasty Fruit and Nut Energy Bars, you won’t be able to ever give them up. It is true that food is energy, but it is great to find a snack or meal that, in addition to being healthy, is also so delicious. 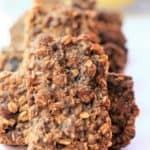 I have to admit, when testing some of the vegan and gluten free recipes, they sometimes lack that zing that I really want in order to not feel deprived on a limited or healthy diet. These bars do not disappoint! Quick, super healthy snack..right here. Mix all ingredients in bowl by hand, not with mixer. 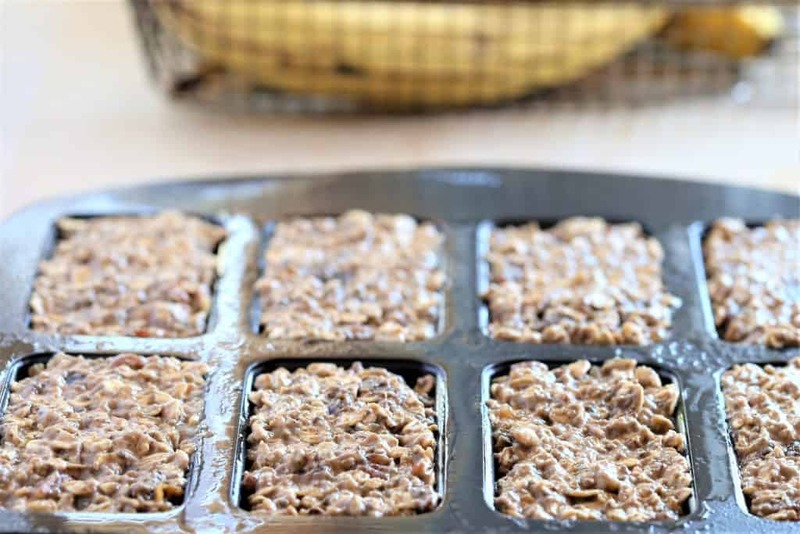 Spray coconut oil on baking pan so that bars won't stick. You can use a 9" square pan or a baking pan that is specifically for bars. Bake at 350 for 25 minutes or until done in center. Makes 8 bars 3 1/2" x 2" as pictured. Can the tapioca flour be substituted with something else? This may not be available where I live. Thanks. Yes, definitely. The tapioca flour has a sweet flavor, but the purpose of the flour is just to solidify the bars. You certainly can use any other flour that you have, all purpose, almond, rice or coconut. Hope you enjoy them!